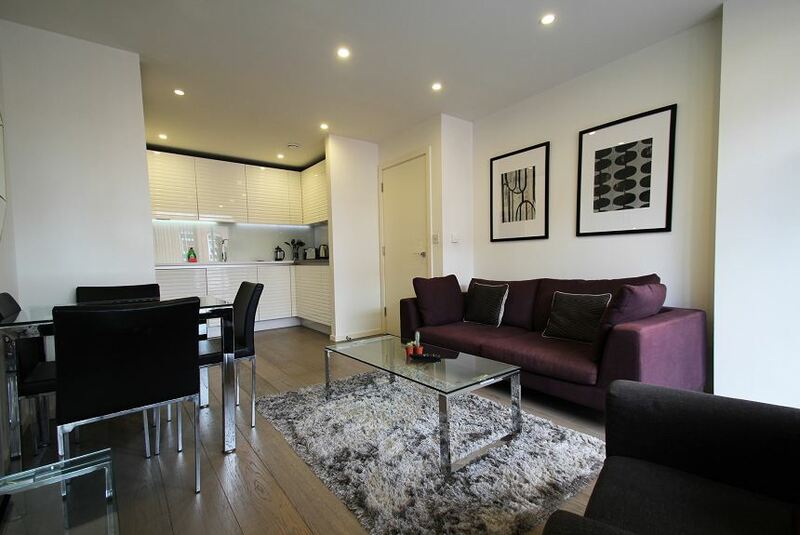 Bright and airy, these serviced apartments are located near the grand area of Old Street, an ideal spot for a successful trip in the capital. Featuring all the amenities that people love about serviced accommodation, you're bound to have a relaxing stay. The apartment is decorated to a modern standard, containing a gorgeous living room and bedroom, and also featuring a fully equipped modern kitchen. You'll be able to show off your inner chef, chill out and sleep in style. The fine bed linen sheets alone will help you to recharge for the next day. Don't worry about missing your favourite shows, as the flat screen TV will more than compensate for that, as will the complimentary Wi-Fi. Finally, the apartment also boasts its own balcony, perfect for the summer months and for taking in an exhilarating view. For your comfort and convenience, our customer service team is available 24/7 to ensure your trip runs smoothly and to answer any queries you may have.